Summer... again it isn't my favorite season but it is much more bearable when I'm sitting by the ocean! 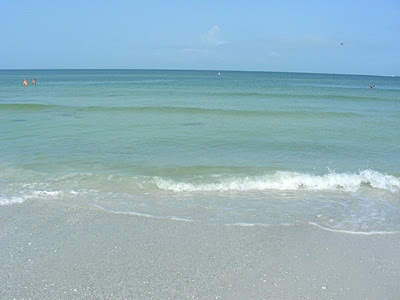 We took a recent beach trip to one of the top ranked beaches nearby (we are spoiled indeed!) and I just had to share a couple photos. The water was that blue green color I love so much. And crystal clear when you get up close. 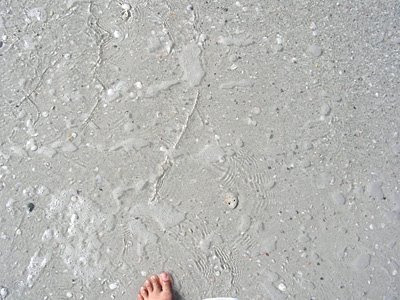 The sand was white and soft underfoot. Nothing like time looking at the ocean to make everything better.